The American Remake of District B-13 is here! 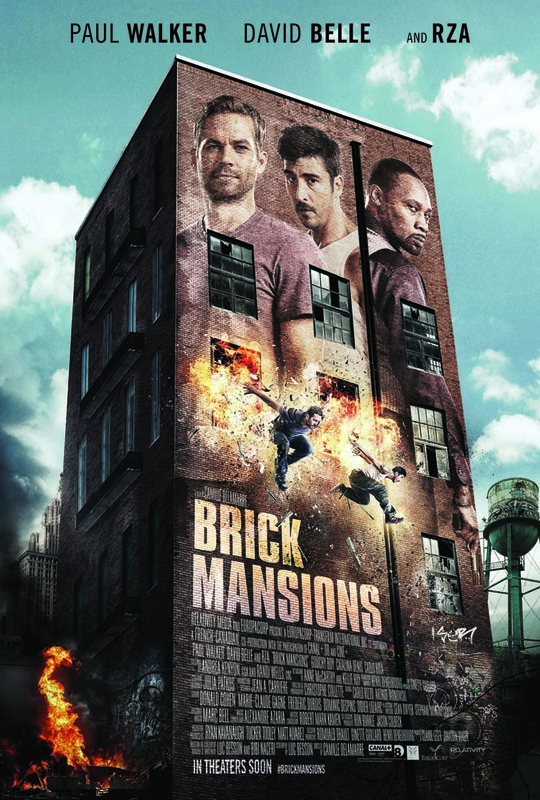 Brick Mansions Trailer! Hmm. I’m not sure why someone felt District B-13 needed to be remade, but here it is, the last complete film of Paul Walker. The film is written and produced by Luc Besson, who of course handled those duties on the first film, and David Belle returns playing the same character. So many of the shots look exactly like those taken from the original it made me wonder even more why they chose to remake this film. Now, the question is does Paul Walker do a good job replacing Cyril Raffaelli? Of course his acting would be better, but what about the fight scenes? Would they be Jason Bourned’ up so he can fake his fight scenes better? Would RZA make a better Taha? And what about my favorite character from the film, K2? I see a big guy who might be him, but c’mon. Anyway, the trailer looks good, and for you Kiai-Kickers I’ll go see it and compare it to the original, whose review you can read here. The remake drops April 25. Previous Check this out: You Can’t Hear Me, You Can’t See Me!